This page contains all of the posts and discussion on MemeStreams referencing the following web page: The TRUTH About Black Helicopters!. You can find discussions on MemeStreams as you surf the web, even if you aren't a MemeStreams member, using the Threads Bookmarklet. This page tickles my conspiracy theory funny-bone in almost every conceivable way. 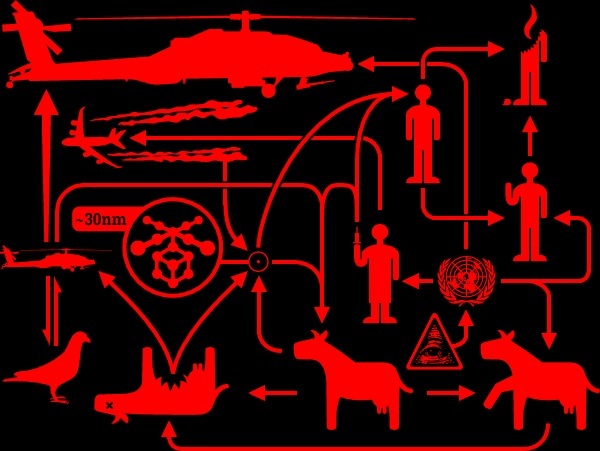 This page will arm you with all the information you need to know about Black Helicopters in order to convince anyone that you are completely nuts. It's even got posters you can print out and hang up: "The Nanobiotechnological Menace of Black Helicopters (PDF)"